MapleStory M BETA on Google Play Store: January 22 – January 30! | Dexless, Maplestory Guides and More! MapleStory M BETA on Google Play Store: January 22 – January 30! 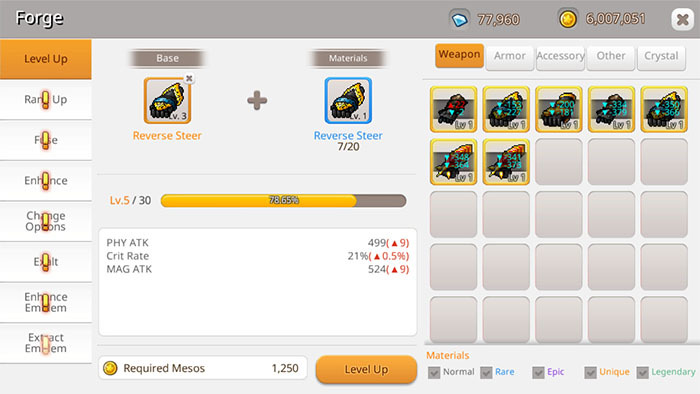 Discussion in 'Maple Updates' started by Nexon, Jan 23, 2018. 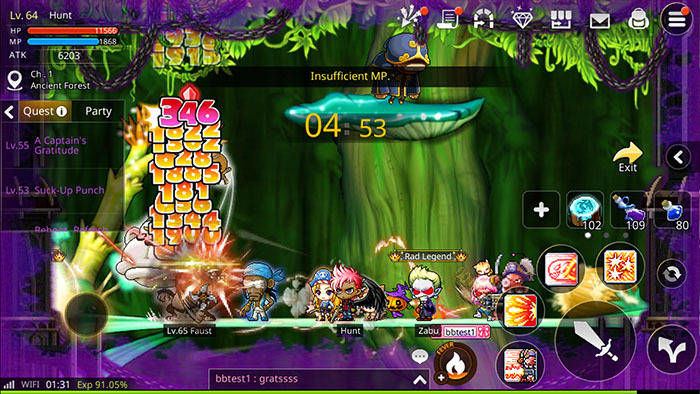 Nexon is proud to announce that a new and unique way to play the MapleStory franchise is coming to Android devices. Return to Maple World in MapleStory M, available on the Google Play Store between January 22, 2018 – January 30, 2018 PST! Available under the "Early Access" section of the Play Store here. Explorer Class: Choose one of the five Jobs the Explorer Class offers: Dark Knight, Bowmaster, Night Lord, Bishop, or Corsair! Daily Rewards: Complete daily quests like "Join a Party 1 Time" or "Clear a Daily Dungeon 1 Time" to earn mesos. Achievements: Complete long-term quests like "Collect 1 Mount" to gain Gems. Pets: Cute, adorable friends will automatically pick-up items that fall from enemies and bring them to your inventory. Mounts: Receive a mount early on so that you can get around Victoria Island faster! Maps: Victoria Island, El Nath Mountains, and Nihal Desert are available for exploring! 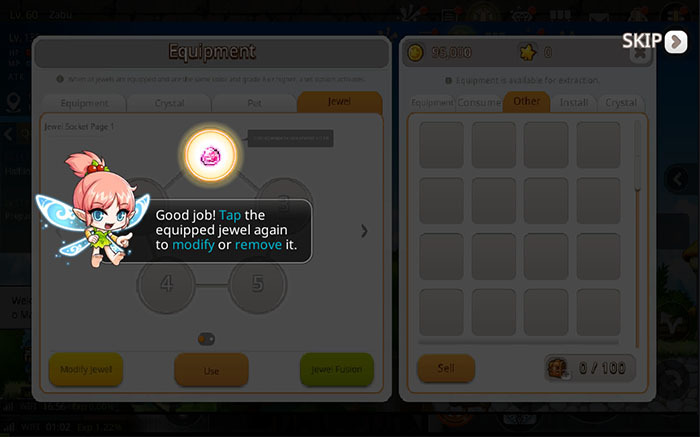 Jewel System: Bejewel your character with Jewels to gain stat increases! Sell from anywhere: No trips to town when your inventory becomes full. 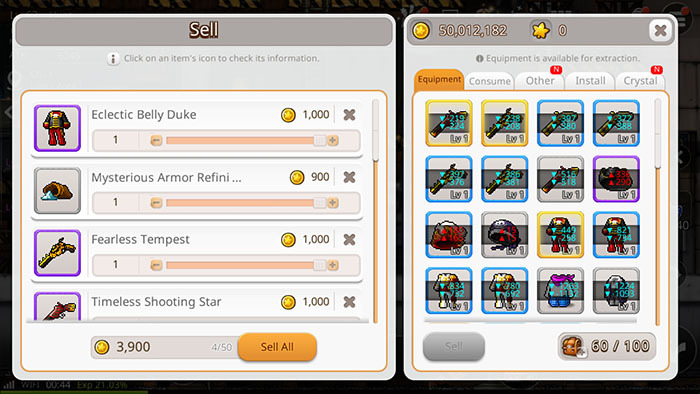 Sell unwanted items in your inventory from anywhere for mesos in MapleStory M! Forge System: Empower your existing equipment by sacrificing unwanted armor and weapons to power up your favorite equips. Level Cap: Players can reach a max level of 120! 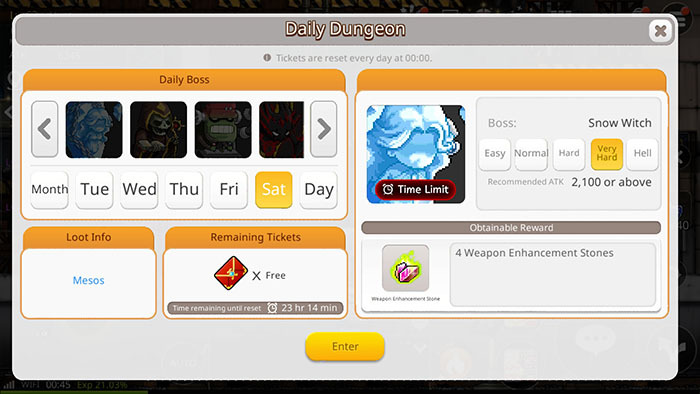 Daily Dungeon: Here, players can obtain Jewels as a reward for bashing monsters over the head! Elite Dungeon: Clear a Dungeon of baddies with up to 4 players to reach the boss. Defeat the boss to earn rewards! Nett's Pyramid: Mummies, pharaohs and pyramids, oh my! Fight your way through waves of enemies with up to 4 players in Nett’s Pyramid to claim treasure! 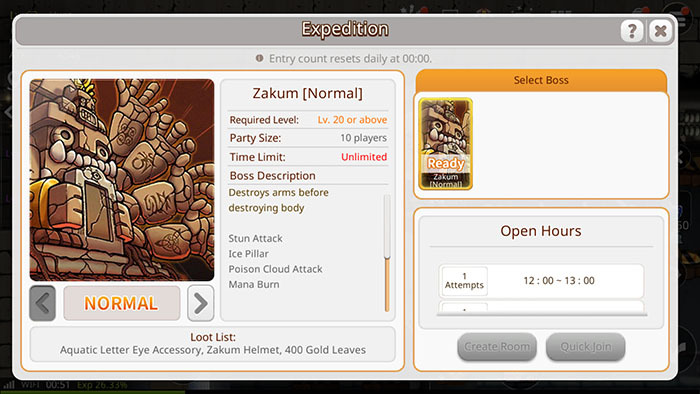 The Expedition: Fight classic MapleStory bosses, Zakum and Horntail, with friends for great rewards! 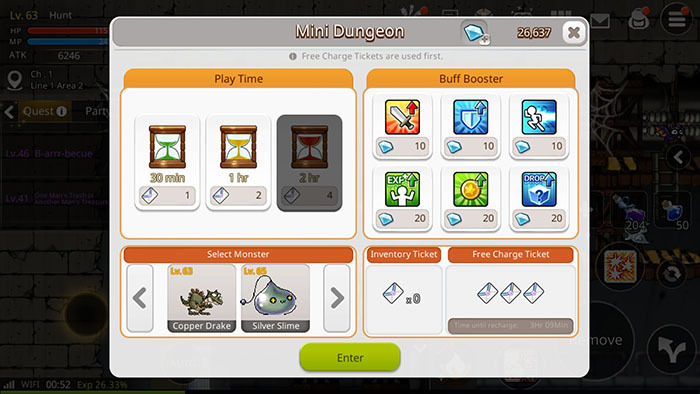 Mini Dungeon: Play in a solo Dungeon, by yourself, all alone...for rewards! 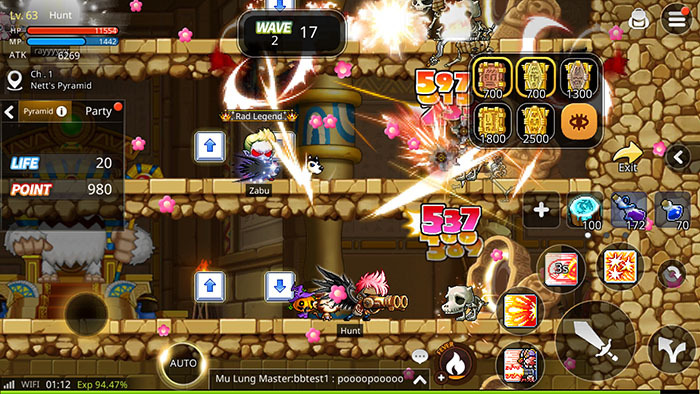 Mu Lung Dojo: Clear floors of baddies, until you clear them all! Earn rewards! Star Force Field: Hunt Star Force monsters and earn lots of EXP! We can’t wait to play online with all of you! Be sure to like our Facebook page, and follow us on Twitter!